If you’re a Disney World fan and have never been to Disneyland, one nuance that may throw you for a loop is the difference in their FastPass system. You know that if you’re a guest staying on Walt Disney World property that you can begin scheduling your FastPasses up to 60 days in advance! I mean, this is some serious planning involved! You need to know what park you’re going to, on what day, and be ready to book those FastPasses, especially if you plan on riding some of the most popular attractions, like the new Flight of Passage in Pandora at Disney’s Animal Kingdom. If you’re a guest not staying on Disney property, you are able to book your fast passes 30 days in advance, which still takes planning, and you go in knowing that some of the most popular experiences may already be completely booked. Disney World has had the “My Disney Experience” and the Magic Band system in place since 2013, this is not the case at the original – Disneyland. Despite the success of the “My Disney Experience” and magic bands at Walt Disney World, Disneyland has stuck by the original paper FastPass system, where you have to go to a kiosk, insert your park ticket, and then it spits out a ticket with a return time. Disneyland has stuck to this more traditional experience because of their traffic. While Disneyland is a very busy attraction in Southern California, guests don’t plan for a trip to Disneyland in the same way that they do for a trip to Walt Disney World. Disneyland is a trip that many make in a day, and there are many annual pass holders. These day trippers, and annual pass holders may visit the park on a whim, or decide a week to a month in advance to travel, so booking FastPasses a month, or 2 months in advance just doesn’t make sense. With that being said, let’s talk about the Disneyland MaxPass that was introduced in June of 2017. MaxPass is different than the WDW “My Disney Experience” in a few ways. 1) There is a cost associated with it. At WDW the MDE is included in your ticket price, Disneyland’s MaxPass is $10 per day per guest. 2) You cannot purchase the MaxPass until you’re in the park with your ticket scanned, where as with MDE as stated earlier you can begin scheduling your FastPasses 30 days in advance for off property guests, and 60 days for on property guests. 3) You are able to schedule one fast pass at a time. MDE allows you to schedule up to 3 FastPasses per day when you initially book. 4) MaxPass includes your PhotoPass photos, as well as the booking the FastPasses on the app. At WDW you’re able to purchase individual shots that are loaded onto your magic band, or you can purchase the Memory Maker plan for an additional $169.00 that includes all of your PhotoPass shots. 5) With MaxPass you can schedule FastPasses between the different parks if you have a park hopper ticket. If you’re at WDW you have to schedule your original 3 FastPasses all in the same park. 2) After you’ve used your first FastPass on the app, you can immediately go in and schedule the next one, much in the same way as scheduling your next FastPass at WDW after using your original 3. DEFINITELY! To me it was absolutely worth the money. With that being said, there were only two of us, and we were there for one day, so it was only a $20 purchase. For a larger family planning a multi day stay, it would be more expensive, but I would absolutely plan on building it into your budget. It will save you time, and a lot of footsteps from traveling from paper FastPass kiosk to kiosk. Have you used MaxPass? What do you think? 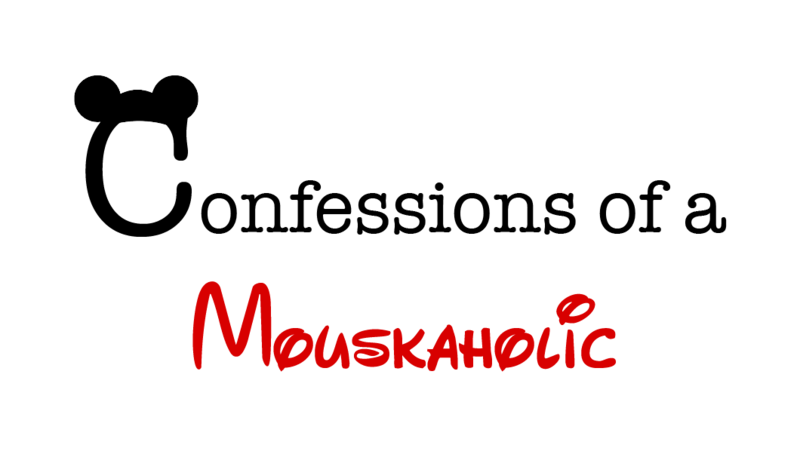 She is a Disney expert, and her booking and planning services are free of charge to her clients! Fun Fact Friday- Haunted Mansion: Up or Down? Disney’s Haunted Mansion is a long time fan favorite. It has received its fair share of updates and is slightly different in Disneyland and Disney World (not to mention it’s counter parts – Phantom Manor in Disneyland Paris, and Mystic Manor at Disneyland Hong Kong). One of the most obvious differences that I so enjoyed when I visited Disneyland this past November was the stretching room. I’ve rode the Disney World version dozens of times and in the stretching room the room stretches up, while in the Disneyland version, you descend. It gives the same effect in both rides, but serves a different purpose! With Disneyland, the stretching room physically transports you to the ride area with its descent. The Disneyland Half Marathon will take you through Disneyland, California Adventure Park, and through scenic Anaheim, including running through the Anaheim Angels Stadium! Don’t miss your chance, RunDisney races tend to sell out quickly! Alright, after a long day at work for both my husband and myself we boarded a plan in Ohio and headed to Los Angeles for RunDisney’s Avenger’s Half Marathon Weekend!!! The first thing that I learned on this trip is that flying after work is exhausting, especially when it is a 7 + hours in the air kind of trip. When I originally planned the trip in my mind it was going to be WAY better to fly out on a Thursday after work so that we could hit the race expo AND enjoy more park time on Friday. I still think this was the right choice, but eeesh with the 3 hour time difference and waking up at my normal Ohio time, I’m pooped and the day hasn’t even begun. 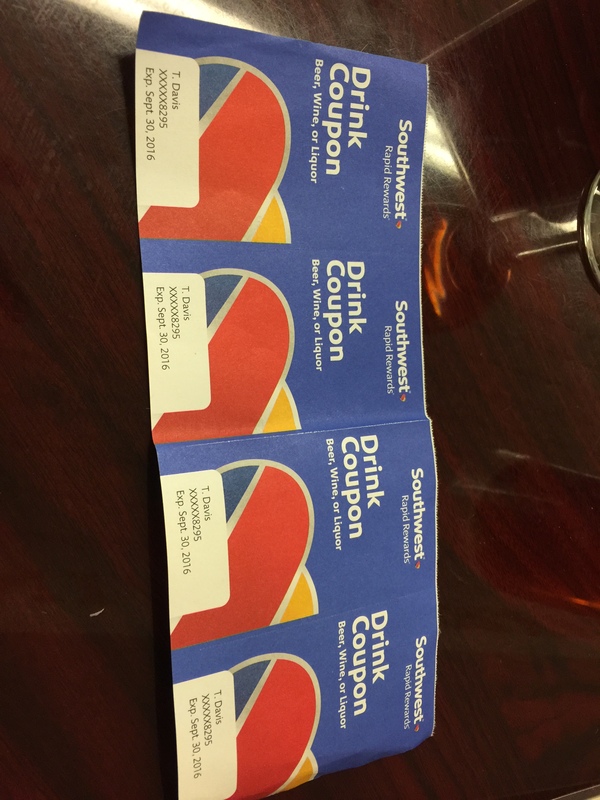 All flights went smoothly AND we got a fun bonus… as we were eating our dinner waiting for our first flight, a man asked if anyone was flying southwest (which we were) and handed me 4 drink vouchers to use on the plane!!! SCORE! What a nice way to start the trip and take the edge off on a long trip! We got into LAX at 11:20pm California time, so 2:20am Ohio time… LONG day!!! After getting our bags we were ready to hit the road by 11:45 or so. When I booked our trip I had purchased round trip transport on the Disneyland Express. Much to my dismay when our travel documents arrived I realized that our flight was coming in far to late to use this bus service and that it was non-refundable. Lesson learned. There are other shuttle services that run 24 hours, but after having so much fun and success with Uber on or Disney World trip we decided well in advance that we would just take Uber to our hotel in Anaheim. I won’t call using Uber for our hotel ride a mistake per say, BUT at midnight there were absolutely no Uber X drivers at LAX (I don’t know if that was the time of day or if that is standard practice for Uber out here), so we had to take “Uber Select” which is considerably more expensive. The reason that I won’t call it a mistake, is that after 7+ hours on a plan with VERY little leg room, riding in the back seat of a BMV 7 series with leather interior and dual climate control was a DREAM!!! But for a nearly 40 minute car ride from LAX to anaheim it was WAY more expensive than I care to admit that I paid for a car ride. 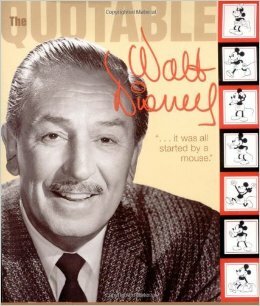 Disneyland has been around for 60 years now and the city of Anaheim sprung to life around it. 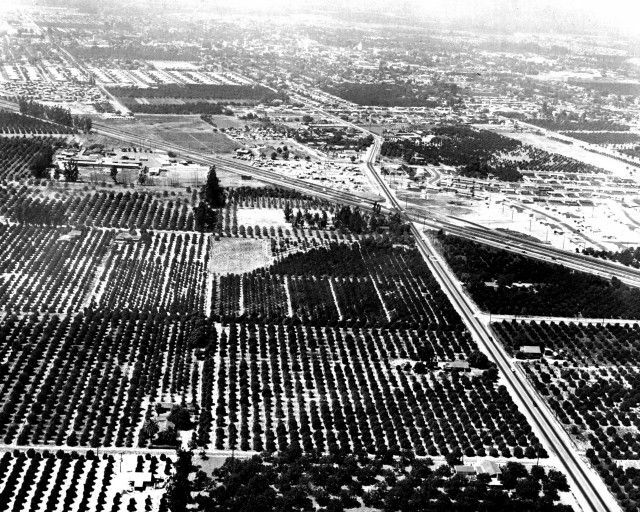 It’s hard to believe that where it used to be just orange groves! 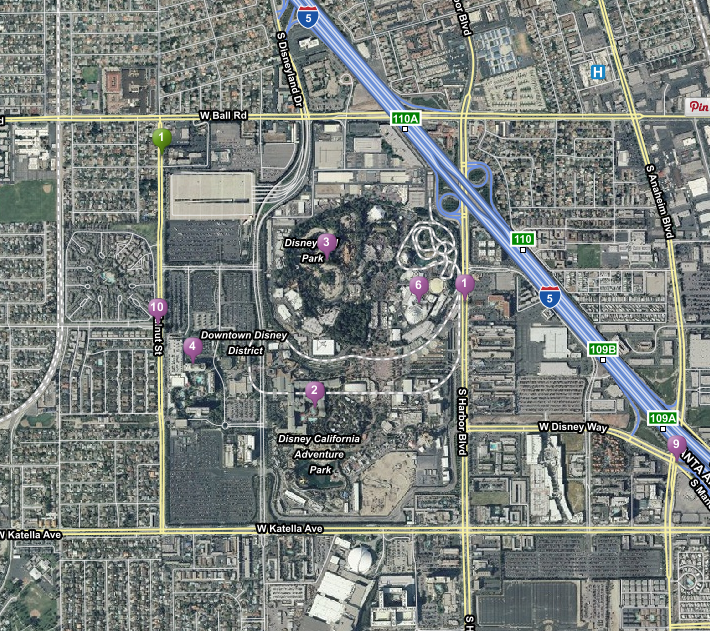 Here’s a look at what Disneyland has become as we know it, as well as all that has been built up around it.